Network Solutions, affectionately called NetSol in inner circles, is a legacy brand in the hosting industry. By bundling domain, hosting, and marketing tools under one roof, the company made a name for itself as a provider that empowered business owners and entrepreneurs to get their feet wet on the web. Unfortunately, NetSol’s low-barrier-to-entry business solutions have been overshadowed by successive generations of ridiculously cheap, feature-rich hosts. Not to worry — Network Solution’s experienced service and trusted business tools can be had at a fraction of the costs listed on the company site when you activate one of the online coupons below. Looking for Network Solutions coupons and promo codes that actually work? You're in the right place. See below for HostingAdvice.com reader-exclusive deals for every web hosting need. Simply click on the discount that interests you most to receive the sale pricing on the Network Solutions website. Need some help? Learn more about Network Solutions hosting with our expert hosting guide below. What types of payment does Network Solutions accept? Network Solutions accepts Visa, MasterCard, Discover, and American Express, as well as the lesser-known Diners Club Carte Blanche Corporate card, as credit card payments. Another popular and approved payment gateway is PayPal. Yes! You can also whip out your AmEx, Visa, MasterCard, or Discover card. What billing plans does NetSol offer? While some Network Solutions services operate on a monthly billing cycle with payments due every four weeks, the majority of the hosting packages are advertised by their monthly rate, and the annual total is due upfront. Buyer beware: The advertised price is typically a promotional incentive for the first month of service. Read the fine print to be sure you’re prepared for any upcharges or renewal fees. Enjoy maximum savings by clicking the links above, of course. Network Solutions is unique in that it serves as both a hosting company and a domain name registrar. You can register a domain for free upon signing up for one of the hosting packages, you can sign up for a hosting account and bring your existing domain with you, or you can simply register a domain and host elsewhere. As previously mentioned, you’re credited a free domain for the first year of service upon signing up as a new customer with Network Solutions hosting; however, you are solely responsible for any renewal fees, which are typically in the $10- to $15-range (around the same pricing for those who choose to register without hosting with NetSol). When and if you decide to scope out Network Solutions’s domain services, you’ll immediately be inundated with so-called deals for various domain extensions such as .guru or .company. While these may be trendy and inexpensive, it’s important to remember that a traditional .com domain still holds the most value from a branding, memorability, and SEO perspective. As I said in the answer above, new NetSol customers do enjoy a complimentary domain name registry with their hosting accounts, but that’s strictly for the first year of service. Renewal fees are on you ($14-ish). What is domain privacy, and is it included in Network Solutions’s domain hosting services? Domain privacy is a service that protects your personally identifiable information, including legal name, phone number, email, and mailing address, from being listed in the publicly available WHOIS records online. This is typically an add-on service, and it is not included in Network Solutions plans by default. What is an uptime guarantee and does Network Solutions offer one? A host’s uptime guarantee is the percentage of time your website or application is promised to be online and accessible to visitors. The industry standard is 99.9%, which amounts to roughly 42 minutes of downtime per month. Keep in mind: 100% uptime is nearly impossible to achieve (doable, but expensive from a hardware perspective), and the uptime SLA usually comes with the disclaimer that scheduled downtime for maintenance is not included. All that being said, NetSol’s uptime rate promise falls above the industry average at 99.99% — and, as we often say, more nines is better! Do I need a promo code to get discounted pricing on Network Solutions plans? No way, Jose! 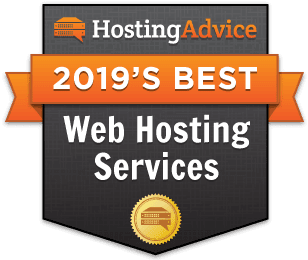 HostingAdvice makes it easy by working out deals with the web’s leading hosting providers so we can turn around and offer you discounted pricing. Some hosts have given us reader-exclusive promo codes, but NetSol just asks that you click one of the pretty orange buttons above to reap the benefits of being a valued HostingAdvice reader. Thanks for following us! Does Network Solutions offer a money-back guarantee? The Network Solutions money-back guarantee is pretty standard: Decide you’re dissatisfied with the company’s plans within 30 days of signup, you can cancel your service, and a full refund will be credited to your credit card or PayPal account. How does Network Solutions pricing compare with that of other hosts? Once upon a time, Network Solutions was a hallmark in the business hosting space. Offering hosting, web design, marketing, and domain services in one place was and is still very attractive to the target demographic. At the time, the $12-per-month ballpark was competitive for the shared hosting landscape. Unfortunately, that’s no longer the case. You can find the same, if not better, quality of service and range of features for a fraction of the cost with today’s leading affordable hosts. My advice would be to browse cheap hosting reviews and see how NetSol stacks up in your mind.